Arathi Sabada and Marianne Drysdale highlight “sustainable change” as their primary ambition for the university campus. With a platform sporting propositions as diverse as a “pop-up grocery store” in Trotter to a professional “shadowing program” for students interested in particular graduate tracks, True Blue promises to create a healthier, more accessible campus by increasing university integration into the Ann Arbor community. For candidates Sujay Shetty and Matthew Williams, the “M” in aMplify stands just as much for minority voices as it does for Michigan. 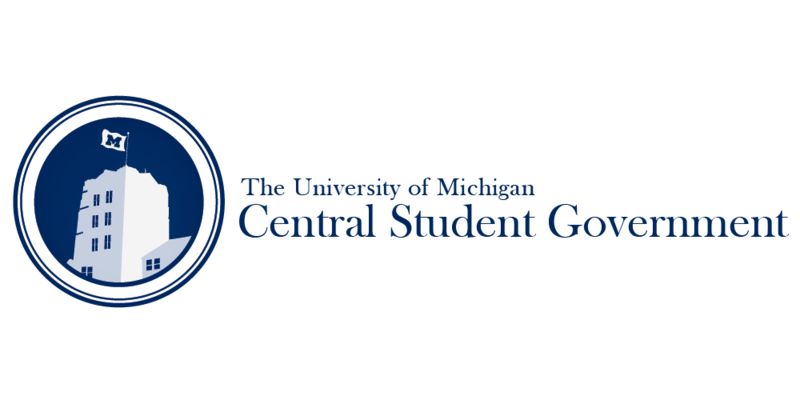 Relying on a three-pronged proposal to “knock down barriers,” “unite and empower,” and “build the future” of Michigan students, aMplify promises to increase transparency between CSG and other campus bodies while creating new coalitions to better reflect and provide for a variety of student needs. Included in the party’s proposals are increasing funding allocations to student organizations, creating a “Council of Student Life” composed of “high-impact” student groups, and providing greater access to the Campus Farm through direct transportation and the creation of a campus food pantry. Ever wish could chuck the political grandstanding in favor of a good, old-fashioned monarchy? Liam Stewart and Jai Padalkar may be the candidates for you. Adhering to a platform of strict “feudalist and manorialist” reform, Serfdom USA promises to promote prosperity on campus through increased border security, student representation through a diverse “socio-political hierarchy” of “nobles,” and the instatement of a host of new academic pursuits (including but not limited to “witchcraft” and “dungeonmastery”). In addition to claiming divine appointment, Stewart also proposes abolishing the CSG Assembly in favor of a House of Lords. President AJ Ashman and Charlie Bingham have a definite vision for CSG’s future: increasing relevancy by maintaining awareness of student interests. With a platform promoting increased accessibility to healthcare services, the creation of more affordable and diverse academic programs, and the encouragement of both undergraduate and graduate involvement in public services and local elections, MomentUM takes the cake for the most extensive ambitions for university improvement. A few standouts on this list include implementing an “Emergency Education Fund” for students with unforeseen need for academic aid, keeping classrooms open in a variety of campus buildings to allow space for late-night studying, and extending dining hall hours to midnight. True to their party name, Lloyd Lyon and Frank Guzman are devoted to removing obstacles to student engagement from all aspects of campus life. Through initiatives like the “Meal Swipe Donation Program” and “Extracurricular Pot” to provide funds and food for financially needy students, to supporting increased Race and Ethnicity requirements for a more diverse campus, eMpower follows a straightforward platform of broadening awareness of student needs and increasing student representation. Last but not least, Noah Tappen is running his own campaign with Let’s Keep Michigan Time! – a platform inspired by the university’s recent unilateral decision to upend decades of scheduling tradition. In addition to his most prominent concern of keeping class start times at ten minutes past the hour, Tappen’s platform features a proposal for more reliable transport to UHS, alliance with “student-run public art initiatives” to support campus “coziness,” and equal distribution of student printing funds. There you are, Wolverines! Further information on the candidates can be found at either party websites or through CSG’s voting page. Make sure to vote for your preferred CSG representatives on either March 21 or 22! Polls open tomorrow at vote.umich.edu.